For most kids, summer is one of the most waited time of the year. School is over but the learning never stops. 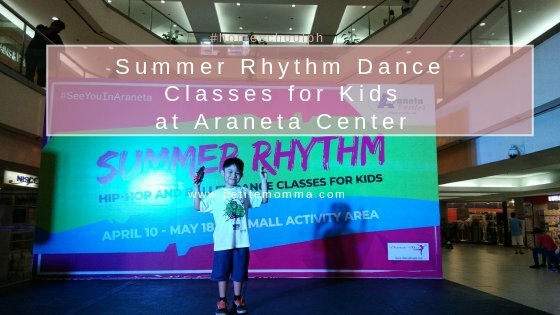 The Araneta Center, in partnership with Dance Plus, launched its summer dance program last April 10 at Ali Mall. 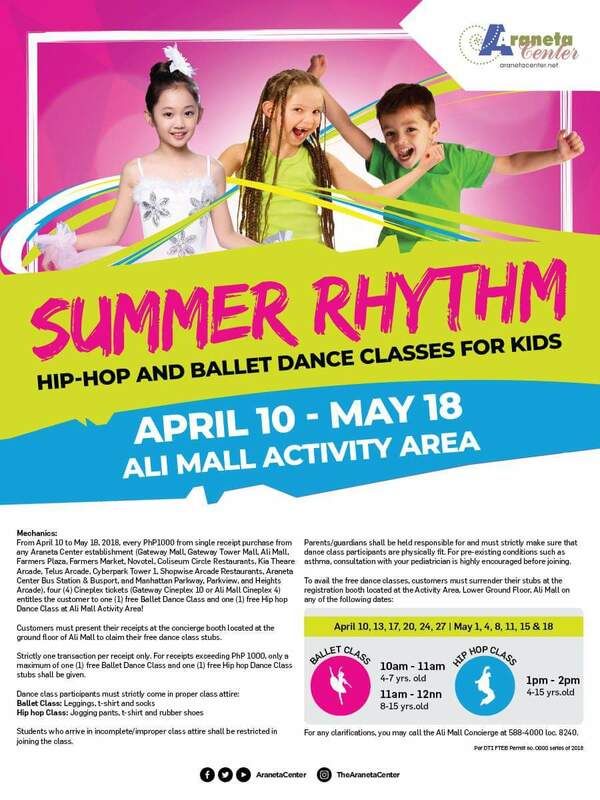 The program, Summer Rhythm, includes ballet and hip-hop classes for children aged 4 to 15 years old and will run every Tuesday and Friday from April 10 to May 18. Each session is held at the Ali Mall Activity area on the lower ground floor, giving the participants ample space to move around and master their dance moves. The classes are facilitated by instructors from Dance Plus. Known as studio without walls, Dance Plus goes where students are by partnering with schools, condominiums, gyms, and malls to bring ballet and hiphop closer to where families get together. 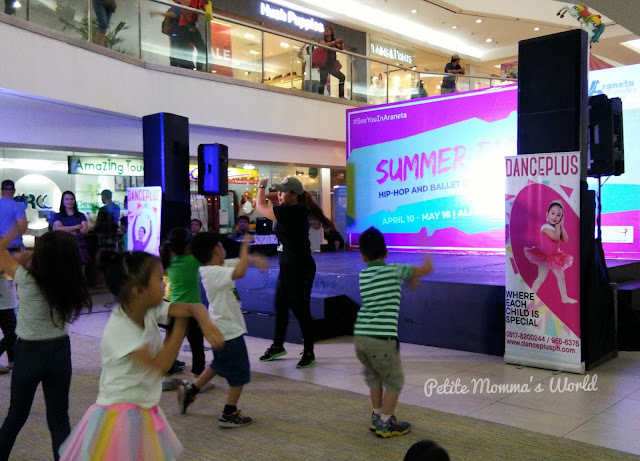 Thanks to Araneta Center, Dance Plus, and through Mommy Bloggers Philippines, Kuya V was able to join the hiphop session and so did the saling-pusa Toddler Z who danced at the side. The summer event aims to reach more children and give its participants a “childhood enriched through a heart that beats for dance.” And I'm glad that the kids had a great time. For full dance programs, you may contact Dance Plus. Your kids can join, too! - From April 10 to May 18, 2018, every Php1,000 single receipt purchase at any Araneta Center establishment or four (4) Cineplex tickets at Gateway/Alimall entitles you to one (1) FREE ballet class and one (1) FREE hiphop class. - Customers must present their receipts at the concierge located at the ground floor of Alimall to claim their free dance stubs. HIP-HOP CLASS 1:00 PM to 2:00 PM For kids 4 to 15 years old. For more info, visit: www.aranetacenter.net and www.danceplusph.com. That's good! Mageenjoy na sila, matututo pa and magkakaroon ng maraming new friends.